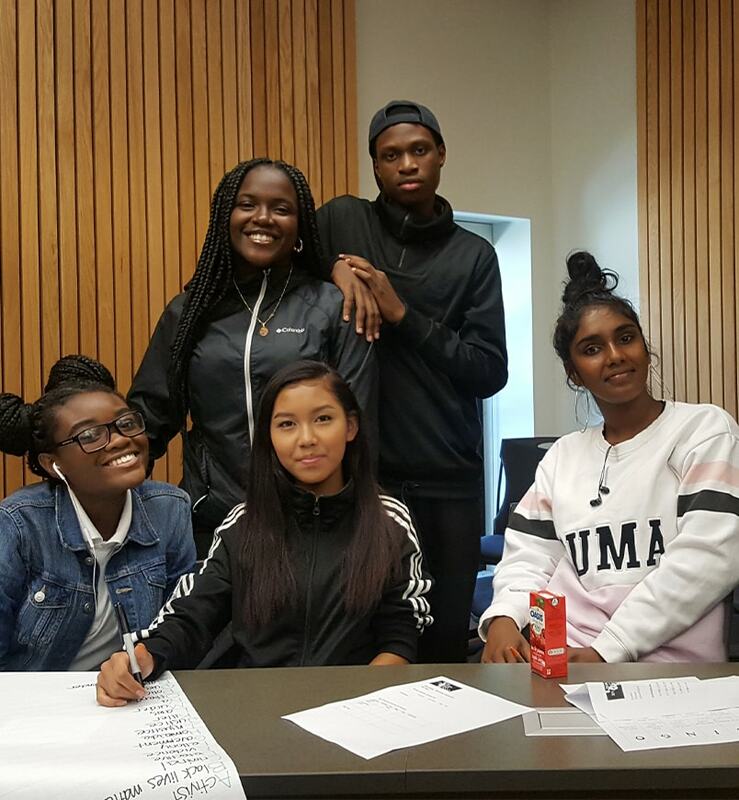 The LAWS Newcomer Program is an engaging, fun and interactive way for newcomer students to build their understanding of the Canadian justice system and our democratic processes. 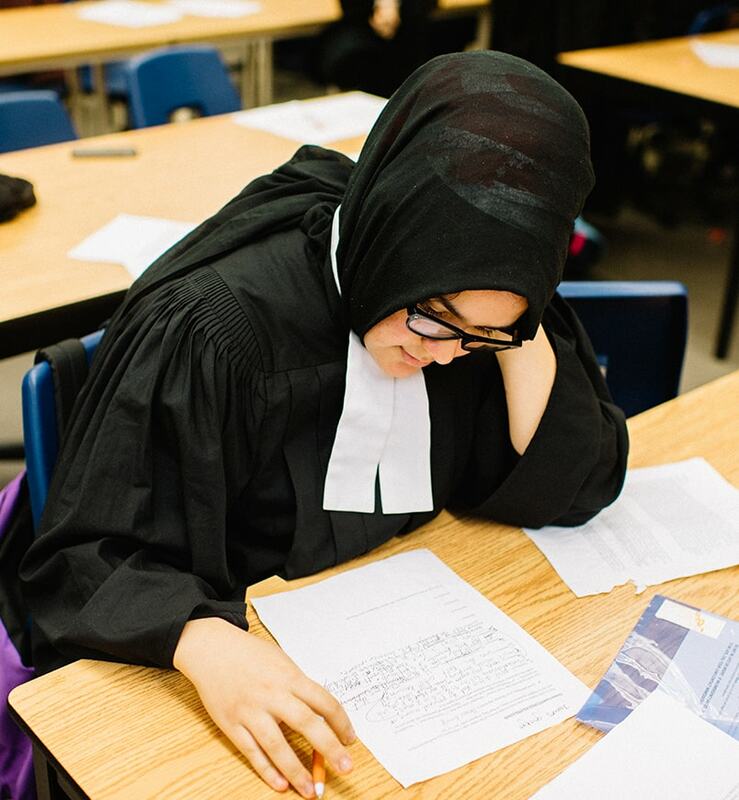 Students enjoy positive interactions with members of the legal community, explore the wide range of justice sector careers, learn about Ontario’s post-secondary education options, and work towards the goals of the ESL curriculum. LAWS supports students in ESL C, D and E classes at seven partner high schools. As many of students’ home countries have justice systems different from Canada’s, knowledge of Canadian justice system enables newcomer students to understand their rights and responsibilities and facilitates better access to justice. We collaborate with ESL teachers at each partner high school to develop and deliver a program that complements their curriculum and is suitable to the needs of their students. LAWS staff and law student volunteers deliver legal information workshops as part of our ESL students’ classroom learning. These workshops focus on youth criminal justice, employment law, immigration law and human rights and are specifically designed to be relevant and accessible to newcomer youth. Our ESL E students often participate in a multi-day mock trial program providing an opportunity to learn about the criminal justice system, role-play as lawyers, witnesses and judges, and apply new learning and language skills. LAWS takes every opportunity to complement coursework with a wide range of experiential activities. Field trips to courthouses and other legal institutions enable newcomer students to gain practical understanding of how the legal sector works, supplement their classroom learning, and develop their understanding of the wide range of justice sector careers. Students in ESL E also have an opportunity to attend the LAWS Newcomer Justice Conference, a full-day event held at one of our partner law schools. The conference allows students to explore interesting and relevant legal issues, learn about and feel comfortable in a law school environment, meet other newcomer students from across the city and dialogue with members of the legal and social service sectors. Newcomer students at Marc Garneau Collegiate Institute have an opportunity to participate in our Cassels Brock Law Firm Mentoring Program. Through the program, students are paired one-on-one with a lawyer who acts as their mentor through monthly facilitated sessions, allowing them to become comfortable in a professional legal environment and form lasting mentoring relationships.